Author: Eildar Abyar , Ashish Shah . Department of Orthopaedic Surgery, University of Alabama at Birmingham, USA. Arthroscopy of the foot and ankle has become an important therapeutic tool for the management of foot and ankle pathologies. Advantages of the arthroscopic technique over open techniques include low post-operative morbidity and absence of limb-threatening complications, less blood loss, shorter hospital stay, faster rehabilitation and mobilization, and a decreased complication rate. To achieve these advantages the surgeon should be thoroughly skilled and familiar with the anatomy of the region3 and arthroscopic techniques. Arthroscopic surgery and tendoscopy are emerging procedures for management of several disorders of the ankle and subtalar joint. These techniques can be both diagnostic and therapeutic and preserve the soft-tissue envelope to a much greater extent than open surgery. The purpose of this review article is to survey the literature regarding the adjunct use of arthroscopy in the treatment of foot and ankle pathologies with highlights in ankle arthroscopy indications and techniques. 1. O’Brien TS, Hart TS, Shereff MJ, Stone J, Johnson J. Open versus arthroscopic ankle arthrodesis: a comparative study. Foot Ankle Int 1999 Jun;20(6):368-74. 2. Willits K, Sonneveld H, Amendola A, Giffin JR, Griffin S, Fowler PJ. Outcome of posterior ankle arthroscopy for hindfoot impingement. Arthroscopy 2008 Feb;24(2):196-202. 3. Barber FA, Click J, Britt BT. Complications of ankle arthroscopy. Foot Ankle 1990 Apr;10(5):263-6. 4. Watanabe M. Selfoc Arthroscope (Watanabe no 24 Arthroscopes). Tokyo, Japan: Teishin Hospital; 1972. 5. Ferkel RD, Orwin JF. Ankle arthroscopy: a new tool for treating acute and chronic ankle fractures (abtract). Arthroscopy. 1993;9:352-353. 6. Van Dijk CN, Verhagen RA, Tole JL. Arthroscopy for problems after ankle fracture. J Bone Joint Surg Br. 1997;79: 280-284. 7. Ferkel RD, Small HN, Gittins JE. Complications in foot and ankle arthroscopy. Clin Orthop Relat Res 2001 Oct;(391):89- 104. 8. Van Dijk CN, Scholte D. Arthroscopy of the ankle joint. Arthroscopy 1997 Feb;13(1):90-6. 9. Van Dijk CN, Scholten PE, Krips R. A 2-portal endoscopic approach for diagnosis and treatment of posterior ankle pathol- ogy. Arthroscopy 2000 Nov;16(8):871-6. 10. Stutz G, Kuster MS, Kleinstück F, Gächter A: Arthroscopic management of septic arthritis: stages of infection and results, Knee Surg Sports Traumatol Arthrosc 8:270–274, 2000. 11. Waguri-Nagaya Y, Kobayashi M, Goto H, et al: Septic arthritis of the right ankle caused by Staphylococcus aureus infection in a rheumatoid arthritis patient treated with etanercept, Mod Rheu­matol 17:338–0, 2007. 12. Kleiger B. Anterior tibiotalar impingement syndromes in dancers. Foot Ankle 3:69–73, 1982. 13. van den Bekerom MP, Raven EE. The distal fascicle of the anterior inferior tibiofibular ligament as a cause of tibiotalar impingement syndrome: a current concepts review. Knee Surg Sports Traumatol Arthrosc 15:465–471, 2007. 14. Umans H. Ankle impingement syndromes. Semin Musculoskelet Radiol 6:133–139, 2002. 15. Renstrom PAFH. Persistently painful sprained ankle. J Am Acad Orthop Surg 2:270–280, 1994. 16. Morris LH. Athlete’s ankle. J Bone Joint Surg 25:220–223, 1943. 17. McMurray TP. Footballer’s ankle. J Bone Joint Surg 32[Br]:68–69, 1950. 18. Ferkel RD, Karzel RP, Del Pizzo W, Friedman MJ, Fischer SP. Arthroscopic treatment of anterolateral impingement of the ankle. Am J Sports Med 19:440–446, 1991. 19. Deberardino TM, Arciero RA, Taylor DC. Arthroscopic treatment of soft tissue impingement of the ankle in athletes. Arthroscopy 13:492–498, 1997. 20. Wolin I, Glassman F, Sideman F, Levinthal DH. Internal derangement of talofibular component of the ankle. Surg Gynecol Obstet 91:193–200, 1950. 21. Bassett FH, Gates HS, Billys JB, Morris HB, Nikolaou PK. Talar impingement by the anteroinferior tibiofibular ligament. A cause of chronic pain in the ankle after inversion sprain. J Bone Joint Surg 72[Am]:55–59, 1990. 22. Akseki D, P´ynar H, Bozkurt M, Yald´yz K, Araç S. The distal fascicle of the anterior inferior tibiofibular ligament as a cause of anterolateral ankle impingement. Acta Orthop Scand 70:478–482, 1999. 23. Meislin RJ, Rose DJ, Parisien JS, Springer S. Arthroscopic treatment of synovial impingement of the ankle. Am J Sports Med 21:186–189, 1993. 24. Liu SH, Raskin A, Osti L, Baber C, Jacobson K, Finerman G. Arthroscopic treatment of anterolateral ankle impingement. Arthroscopy 10:215–218, 1994. 25. Martin DF, Curl WW, Baker CL. Arthroscopic treatment of chronic synovitis of the ankle. Arthroscopy 5:110–114, 1989. 26. Kim SH, Ha KI. Arthroscopic treatment for impingement of the anterolateral soft tissues of the ankle. J Bone Joint Surg 82[Br]:1019–1021, 2000. 27. Amandola A, Petrik J, Webster-Bogaert S. Ankle arthroscopy: outcome in 79 consecutive patients. Arthroscopy 12:565–573, 1996. 28. Ferkel RD, Karzel RP, Del Pizzo W, et al. Arthroscopic treatment of anterolateral impingement of the ankle. Am J Sports Med. 1991;19(5):440–6. 29. DeBerardino TM, Arciero RA, Taylor DC. Arthroscopic treatment of soft-tissue impingement of the ankle in athletes. Arthroscopy. 1997;13(4):492–8. 30. Kim SH, Ha KI. Arthroscopic treatment for impingement of the anterolateral soft tissues of the ankle. J Bone Joint Surg Br. 2000;82(7):1019–21. 31. Arnold H. Posttraumatic impingement syndrome of the ankle: indications and results of arthroscopic therapy. Foot Ankle Surg. 2011;17:85–8. 32. Tol JL, van Dijk CN. Anterior ankle impingement. Foot Ankle Clin 2006 Jun;11(2):297-310, vi. 33. Ogilvie-Harris DJ, Mahomed N, Demaziere A. Anterior impingement of the ankle treated by arthroscopic removal of bony spurs. J Bone Joint Surg Br. 1993;75:437–40. Seventeen patients who performed arthroscopic resection for anterior impingement were reviewed. Pain, swelling, and limping were improved in a 3 year follow-up. 34. Ferkel RD, Karzel RP, Del Pizzo W, et al. Arthroscopic treatment of anterolateral impingement of the ankle. Am J Sports Med. 1991;19(5):440–6. 35. Biedert R. Anterior ankle pain in sports medicine: aetiology and indications for arthroscopy. Arch Orthop Trauma Surg. 1991;110 (6):293–7. 36. Amendola A, Petrik J, Webster-Bogaert S. Ankle arthroscopy: outcome in 79 consecutive patients. Arthroscopy. 1996;12(5):565–73. Study with seventy nine patients who performed ankle arthroscopic debridement after impingement syndrome with 80-86 % improve after surgery. 37. Scranton PE, McDermott JE. Anterior tibiotalar spurs: a comparison of open versus arthroscopic debridement. Foot Ankle. 1992;13 (3):125–9. 38. Niek van Dijk C: Anterior and posterior ankle impingement. Foot Ankle Clin 2006;11(3):663-683. 39. Scholten PE, Sierevelt IN, van Dijk CN. Hindfoot endoscopy for posterior ankle impingement. J Bone Joint Surg Am 2008 Dec;90(12):2665-72. 40. Willits K, Sonneveld H, Amendola A, Giffin JR, Griffin S, Fowler PJ. Outcome of posterior ankle arthroscopy for hindfoot impingement. Arthroscopy 2008 Feb;24(2):196-202. 41. Hamilton WG, Geppert MJ, Thompson FM. Pain in the posterior aspect of the ankle in dancers. Differential diagnosis and operative treatment. J Bone Joint Surg Am 1996 Oct;78(10):1491-500. 42. Van Dijk CN, Lim LS, Poortman A, Strubbe EH, Marti RK. Degenerative joint disease in female ballet dancers. Am J Sports Med 1995 May;23(3):295-300. 43. Hedrick MR, McBryde AM. Posterior ankle impingement. Foot Ankle Int 1994 Jan;15(1):2-8. 44. Weinstein SL, Bonfiglio M. Unusual accessory (bipartite) talus simulating fracture. A case report. J Bone Joint Surg Am 1975 Dec;57(8):1161-3. 45. Sarrafian SK. Anatomy of the foot and ankle: descriptive, topographic, functional. Philadelphia: Lippincott; 1983. 46. Bizarro AH. On sesamoid and supernumerary bones of the limbs. J Anat 1921;55:256-68. 47. Lapidus PW. A note on the fracture of os trigonum syndrome. Report of a case. Bull Hosp Jt Dis 1972;33(2):150-4. 48. Ferkel RD. Soft-tissue lesions of the ankle. In: Whipple TL, editor. Arthroscopic surgery: the foot and ankle. Philadelphia: Lippincott-Raven; 1996. p. 121-43. 49. SooHoo NF, Zingmond DS, Ko CY. Comparison of reoperation rates following ankle arthrodesis and total ankle arthroplasty. J Bone Joint Surg Am. 2007;89:2143–9. 50. Haddad SL, Coetzee JC, Estok R, et al. Intermediate and long-term outcomes of total ankle arthroplasty and ankle arthrodesis. A systematic review of the literature. J Bone Joint Surg Am. 2007;89:1899–905. 51. Schneider D. Arthroscopic ankle fusion. Arthroscopic Video J. 1983, 3. 52. Zvijac JE, Lemak L, Schurhoff MR, et al. Analysis of arthroscopically assisted ankle arthrodesis. Arthroscopy. 2002;18(1):70–5. 53. Myerson MS, Quill G. Ankle arthrodesis. A comparison of an arthroscopic and an open method of treatment. Clin Orthop Relat Res. 1991;268:84–95. 54. Peterson KS, Lee MS, Buddecke DE. Arthroscopic versus open ankle Arthroscopic versus open ankle arthrodesis: a retrospective cost analysis. J Foot Ankle Surg. 2010;49(3):242–7. 55. Winson IG, Robinson DE, Allen PE. Arthroscopic ankle arthrodesis. J Bone Joint Surg Br. 2005;87-B(3):343–7. 56. Gougoulias NE, Agathangelidis FG, Parsons SW. Arthroscopic ankle arthrodesis. Foot Ankle Int. 2007;28(6):695–706. 57. Dannawi Z, Nawabi DH, Patel A, et al. Arthroscopic ankle arthrodesis: are results reproducible irrespective of pre-operative deformity? Foot Ankle Surg. 2011;17(4):294–9. This paper supports the use arthroscopic tibiotalar fusion in cases of high angular deformity of the ankle. 58. Pierre A, Hulet C, Locker B, et al. Arthroscopic tibio-talar arthrodesis: limitations and indications in 20 patients. Rev Chir Orthop Reparatrice Appar Mot. 2003;89(2):144–51. 59. Ferkel RD, Hewitt M. Long term results of arthroscopic ankle arthrodesis. Foot Ankle Int. 2005;26(4):275–80. 60. Collman DR, Kaas MH, Schuberth JM. Arthroscopic ankle arthrodesis: factors influencing union in 39 consecutive patients. Foot Ankle Int. 2006;27(12):1079–85. 61. McCullough CJ, Venugopal V. Osteochondritis dissecans of the talus: the natural history. Clin Orthop Relat Res. 1979;144:264-268. 62. Scharling M. Osteochondritis dissecans of the talus. Acta Orthop Scand. 1978;49:89-94. 63. Schenck RC Jr, Goodnight JM. Osteochondritis dissecans. J Bone Joint Surg Am. 1996; 78:439-456. 64. Cahill BR. Osteochondritis dissecans of the knee: treatment of juvenile and adult forms. J Am Acad Orthop Surg. 1995; 3:237-247. 65. McCoy AM, Toth F, Dolvik NI, et al. Articular osteochondrosis: a comparison of naturally-occurring human and animal disease. Osteoarthritis Cartilage. 2013;21:1638-47. 66. O’Driscoll SW. The healing and regeneration of articular cartilage. J Bone Joint Surg Am. 1998;80: 1795-1812. 67. Chuckpaiwong B, Berkson EM, Theodore GH. Micro-fracture for osteochondral lesions of the ankle: outcome analysis and outcome predictors of 105 cases. Arthroscopy. 2008; 24:106-112. 68. Kouvalchouk JF, Schneider-Maunoury G, Rodineau J. Osteochondral lesions of the dome of the talus with partial necrosis. Surgical treatment by curettage and filling. Rev Chir Orthop Reparatrice Appar Mot. 1990;76:480-489. 69. Van Dijk CN, Scholten PE, Krips RA. 2-portal endoscopic approach for diagnosis and treatment of posterior ankle pathology. Arthroscopy 2000;16:871-876. 70. Scholten PE, Sierevelt IN, van Dijk CN. Hindfoot endoscopy for posterior ankle impingement. J Bone Joint Surg Am 2008;90:2665-2672. 71. Willits K, Sonneveld H, Amendola A, Giffin JR, Griffin S, Fowler PJ. Outcome of posterior ankle arthroscopy for hindfoot impingement. Arthroscopy 2008;24:196-202. 72. Galla M, Lobenhoffer P. Technique and results of arthroscopic treatment of posterior ankle impingement. Foot Ankle Surg 2011;17:79-84. 73. Tey M, Monllau JC, Centenera JM, Pelfort X. Benefits of arthroscopic tuberculoplasty in posterior ankle impingement syndrome. Knee Surg Sports Traumatol Arthrosc 2007;15:1235-1239. 74. Russell JA, Shave RM, Yoshioka H, Kruse DW, Koutedakis Y, Wyon MA. Magnetic resonance imaging of the ankle in female ballet dancers en pointe. Acta Radiol 2010;6:655-661. 75. Peace KAL, Hillier JC, Hulme A, Healy JC. MRI features of posterior ankle impingement syndrome in ballet dancers: A review of 25 cases. Clin Radiol 2004;59:1025-1033. 76. Russell JA, Kruse DW, Koutedakis Y, McEwan IM, Wyon M. Pathoanatomy of posterior ankle impingement in ballet dancers. Clin Anat 2010;23:613-621. 77. Ferkel RD, Orwin JF. Ankle arthroscopy: a new tool for treating acute and chronic ankle fractures (abtract). Arthroscopy. 1993;9:352-353. 78. Schuberth JM, Cobb MD, Talarico RH. Minimally invasive arthroscopic-assisted reduction with percutaneous fixation in the management of intra-articular calcaneal fractures: a review of 24 cases. J Foot Ankle Surg. 2009;48:315-322. 79. Hintermann B, Regazzoni P, Lampert C, Stutz G, Gachter A. Arthroscopic findings in acute fractures of the ankle. J Bone Joint Surg Br. 2000;82:345-351. 80. Thordarson DB, Bains R, Shepherd LE. The role of ankle arthroscopy on the surgical management of ankle fractures. Foot Ankle Int. 2001;22:123-125. 81. Olszewski AD, Jones R, Farrell R, Kaylor K. The effects of dilute epinephrine saline irrigation on the need for tourniquet use in routine arthroscopic knee surgery. Am J Sports Med. 1999;27:354-356. 82. Schuberth JM, Collman DR, Rush SM, Ford LA. Deltoid ligament integrity in lateral malleolar fractures: a comparative analysis of arthroscopic and radiographic assessments. J Foot Ankle Surg. 2004;43: 20-29. 83. Schuberth JM, Jennings MM, Lau AC. Arthroscopy-assisted repair of latent syndesmotic instability of the ankle. Arthroscopy. 2008;24:868-874. 84. Bonasia DE, Rossi R, Saltzman CL, Amendola A. The role of arthroscopy in the management of fractures about the ankle. J Am Acad Orthop Surg. 2011;19:226-235. 85. Loren GJ, Ferkel RD. Arthroscopic assessment of occult intra-articular injury in acute ankle fractures. Arthroscopy. 2002;18:412-421. 86. Taga I, Shino K, Inoue M, Nakata K, Maeda A. Articular cartilage lesions in ankles with lateral ligament injury. Am J Sports Med. 1993;21:120-127. 87. Aktas S, Kocaoglu B, Gereli A, Nalbantodlu U, Guven O. Incidence of chondral lesions of talar dome in ankle fracture types. Foot Ankle Int. 2008;29:287-292. 88. Leontaritis N, Hinojosa L, Panchbhavi VK. Arthroscopically detected intraarticular lesions associated with acute ankle frctures. J Bone Joint Surg Am. 2009;91:333-339. 89. Sorrento DL, Mlodzienski A. Incidence of lateral talar dome lesions in SER IV ankle fractures. J Foot Ankle Surg. 2000;39:354-358. 90. 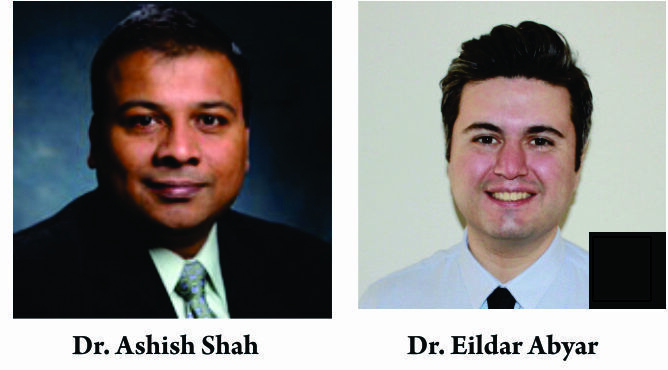 Lloyd J, Elsayad S, Hariharan K, Tanaka H. Revisiting the concept of talar shift in ankle fractures. Foot Ankle Int. 2006;27:793-796. 91. Ramsey PL, Hamilton W. Changes in tibiotalar area of contact caused by lateral talar shift. J Bone Joint Surg Am.1976;58:356-357. 92. Starkweather MP, Collman DR, Schuberth JM. Early protected weightbearing after open reduction internal fixation of ankle fractures. J Foot Ankle Surg. 2012;51:575-578. 93. Gardner MJ, Demetrakopoulos D, Briggs SM, Helfet DL, Lorich DG. The ability of the Lauge-Hansen classification to predict ligament injury and mechanism in ankle fractures: an MRI study. J Orthop Trauma. 2006;20:267-272. 94. Lui TH, Ip K, Chow HT. Comparison of radiologic and arthroscopic diagnoses of distal tibiofibular syndesmosis disruption in acute ankle fracture. Arthroscopy. 2005;21:1370-1374. 95. Miller AN, Barei DP, Iaquinto JM, Ledoux WR, Beingessner DM. Iatrogenic syndesmosis malreduction via clamp and screw placement. J Orthop Trauma. 2013;27:100-106. 96. Xenos JS, Hopkinson WJ, Mulligan ME, Olson EJ, Popovic NA. The tibiofibular syndesmosis: evaluation of the ligamentous structures, methods of fixation, and radiographic assessment. J Bone Joint Surg Am. 1995;77:847-856. 97. Gardner MJ, Demetrakopoulos D, Briggs SM, Helfet DL, Lorich DG. Malreduction of the tibiofibular syndesmosis in ankle fractures. Foot Ankle Int. 2006;27:788-792. 98. Davidovitch RI, Well Y, Karla R, et al. Intraoperative syndesmotic reduction: three-dimensional versus standard fluoroscopic imaging. J Bone Joint Surg Am. 2013;95:1838-1843. 99. Sri-Ram K, Robinson AH. Arthroscopic assessment of the syndesmosis following ankle fracture. Injury. 2005;36:675-678. 100. Chen SH, Wu PH, Lee YS. Long-term results of pilon fractures. Arch Orthop Trauma Surg. 2007;127:55-60. 101. Conroy J, Agarwal M, Giannoudis PV, Matthews SJE. Early internal fixation and soft tissue cover of severe open tibial pilon fractures. Int Orthop. 2003;27:343-347. 102. Decoster TA, Willis MC, Marsh JL, et al. Rank order analysis of tibial plafond fractures: does injury or reduction predict outcome? Foot Ankle Int. 1999;20:44-49. 103. Kalenderer O, Gunes O, Ozcalabi IT, Ozluk S. Clinical results of tibial pilon fractures treated by open reduction and internal fixation. Acta Orthop Traumatol Turc. 2003;37:133-137. 104. Pollak AN, Mccarthy ML, Bess RS. Outcomes after treatment of high-energy tibial plafond fractures. J Bone Joint Surg Am. 2003;85:1893-1900. 105. Salton HL, Rush S, Schuberth JM. Tibial plafond fractures: limited incision reduction with percutaneous fixation. J Foot Ankle Surg. 2007;46:261-269. 106. Gumann G, Hamilton GA. Arthroscopically assisted treatment of ankle injuries. Clin Podiatr Med Surg. 2009;28:523-538. 107. Ono A, Nishikawa S, Nagao A, et al. Arthroscopically assisted treatment of ankle fractures: arthroscopic findings and surgical outcomes. Arthroscopy. 2004;20:627-631. 108. Hammond AW, Crist BD. Arthroscopic management of C3 tibial plafond fractures: a technical guide. J Foot Ankle Surg. 2012;51:382-386. 109. Kim HS, Jahng JS, Kim SS, Chun CH, Han HJ. Treatment of tibial pilon fractures using ring fixators and arthroscopy. Clin Orthop Relat Res. 1997;334:244-250. 110. Poyanli O, Esenkaya I, Ozkut AT, et al. Minimally invasive reduction technique in split depression type tibial pilon fractures. J Foot Ankle Surg. 2012;51: 254-257. 111. Van Dijk CN, Scholten PE, Krips R: A 2-portal endoscopic approach for diagnosis and treatment of posterior ankle pathology, Arthroscopy 16:871–876, 2000. 112. Acevedo JI, Busch MT, Ganey TM, et al: Coaxial portals for posterior ankle arthroscopy: an anatomic study with clinical correlation on 29 patients, Arthroscopy 16:836–842, 2000. 113. Lohrer H, Arentz S: Posterior approach for arthroscopic treatment of posterolateral impingement syndrome of the ankle in a top-level field hockey player, Arthroscopy 20:e15–e21, 2004. 114. Shurnas PS, Coughlin MJ: Arthritic conditions of the foot. In Coughlin MJ, Mann RA, Saltzman CL, editors: Surgery of the foot and ankle, ed 8, Philadelphia, 2007, Mosby, pp 801–856. 115. Guhl JF. Foot and ankle arthroscopy. New York: Slack; 1993. 116. Martin DF, Baker CL, Curl WW, Andrews JR, Robie DB, Haas AF. Operative ankle arthroscopy. Long-term follow-up. Am J Sports Med 1989 Jan;17(1):16-23. 117. Barber FA, Click J, Britt BT. Complications of ankle arthroscopy. Foot Ankle 1990 Apr;10(5):263-6. 118. Ferkel RD, Heath DD, Guhl JF. Neurological complications of ankle arthroscopy. Arthroscopy 1996 Apr;12(2):200-8. 119. Amendola A, Lee KB, Saltzman CL, Suh JS. Technique and early experience with posterior arthroscopic subtalar arthrodesis. Foot Ankle Int 2007 Mar;28(3):298-302. 120. Andrews JR, Previte WJ, Carson WG. Arthroscopy of the ankle: technique and normal anatomy. Foot Ankle 1985 Aug;6(1):29-33. 121. Drez D, Jr., Guhl JF, Gollehon DL. Ankle arthroscopy: technique and indications. Foot Ankle 1981 Nov;2(3):138-43. 122. Ferkel RD, Fasulo GJ. Arthroscopic treatment of ankle injuries. Orthop Clin North Am 1994 Jan;25(1):17-32. 123. Guhl JF. New concepts (distraction) in ankle arthroscopy. Arthroscopy 1988;4(3):160-7. 124. Unger F, Lajtai G, Ramadani F, Aitzetmuller G, Orthner E. [Arthroscopy of the upper ankle joint. A retrospective analysis of complications]. Unfallchirurg 2000 Oct;103(10):858-63. How to Cite this article: Abyar E, Shah A. Foot and Ankle Arthroscopy: Updates, Indications and Technique. Asian Journal Arthroscopy. May-Aug 2018;3(2):30-37.